Aesthetic consistent with all Visual Performance Series speakers. Pair with Sonance DSP Amplifiers for custom-tuned performance. 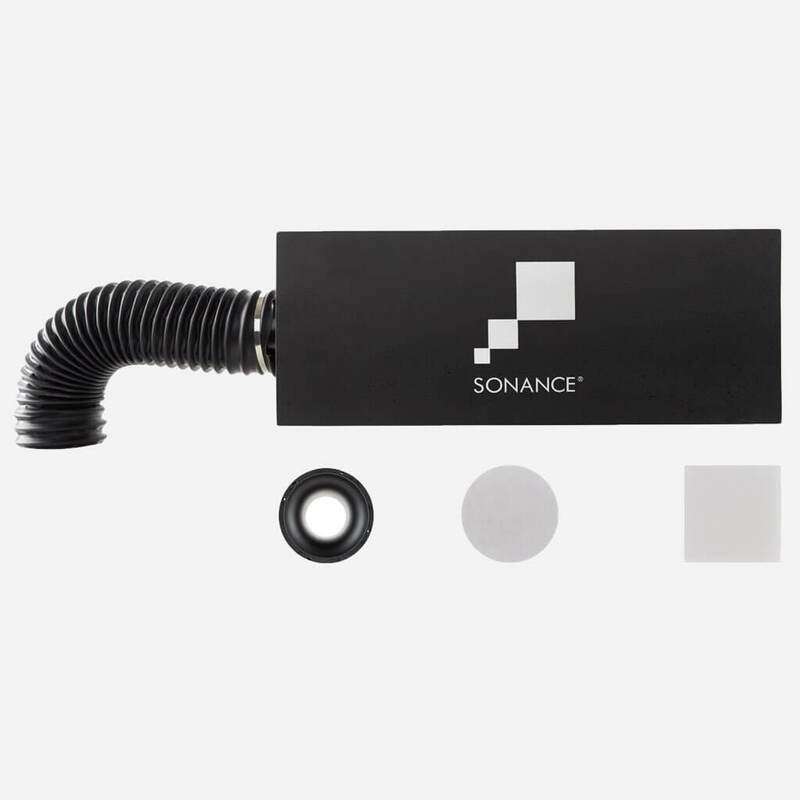 Designed for in-wall and in-ceiling applications, adding low end balance and removing visual intrusion. Woofer: 8" (203mm) dual voice coil, carbon fiber/ Rohacell laminated cone with a rubber surround. Frequency Response: 30Hz - 90Hz - ±3dB. Power Handling: 150 watts maximum. Internal Crossover Frequency: 90Hz @12dB per Octave. Shipping Weight: 45 lbs (20.41 kg) each. Requirements: *VPBPC4R or VPBPC6R (Bandpass Connectors with Grilles); sold separately. Dimensions: 24" x 12 5/16" x 9 1/4" (610mm x 313mm x 235mm). Grille material: 6 7/8" or 9 3/4" (175mm or 248mm) diameter round, Paintable Perforated Steel. 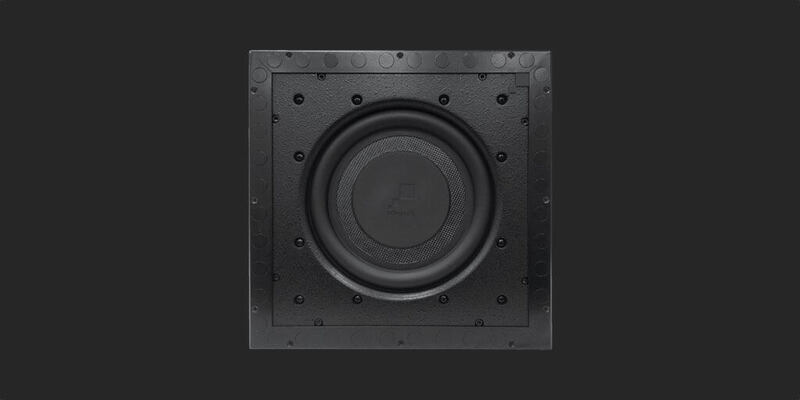 Visual Performance VPSUB Square Subwoofers. Woofer: 10" (254mm) laminated carbon fiber cone with a rubber surround. Frequency Response: 34Hz - 250Hz ±3dB. Shipping Weight: 13 lbs (6kg). 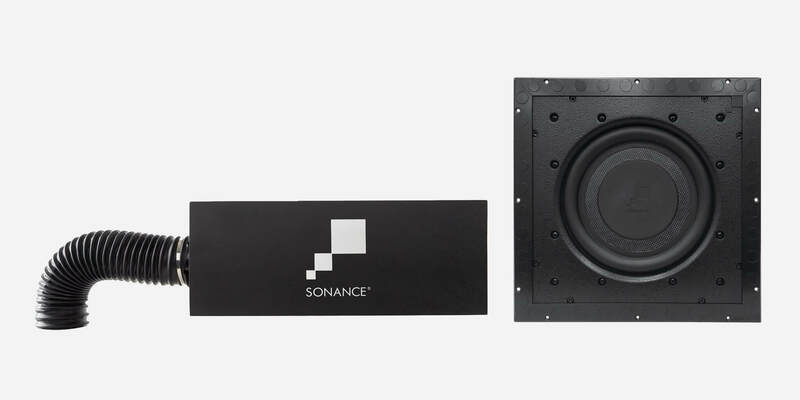 Requirements: *Sonance DSP 2-150 or DSP Sonance DSP 8-130 MKII (using two channels bridged). Dimensions: 15" x 15" x 3 7/8" (381mm x 381mm x 98mm). Cut-out Dimensions: 12 3/4" x 12 3/4" (324mm x 324mm). Grille material: 15" (381mm) square, paintable Perforated Steel. dmg-mg is the first truly high-end and super custom integrator in South Florida. dmg-mg is a certified direct dealer, integrator and installer of Sonance Visual Performance Subwoofers for commercial and residential applications in the Miami / Fort Lauderdale area. 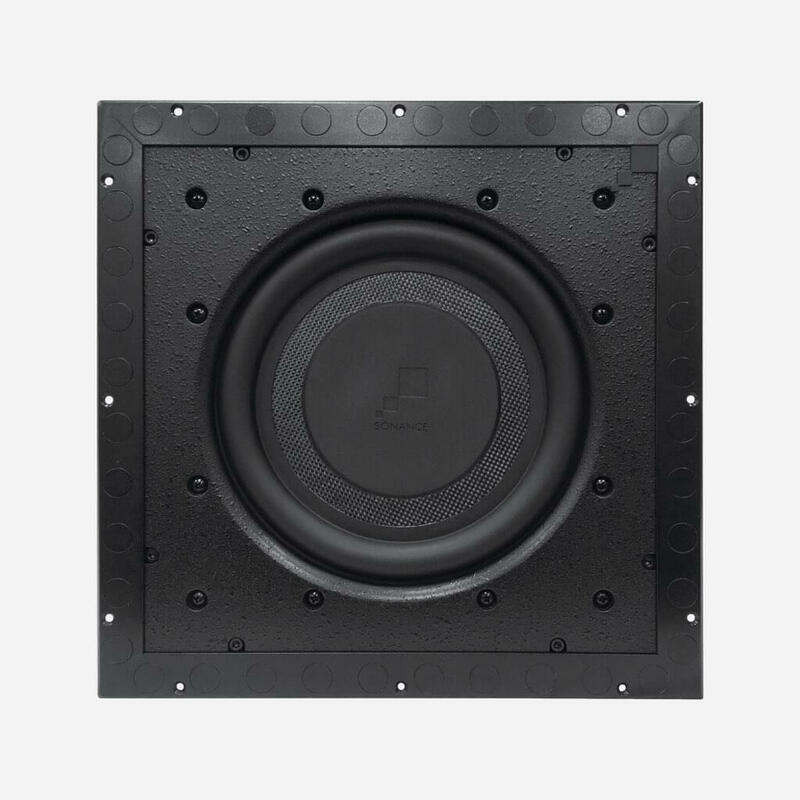 Ensuring peace of mind, for the best price, professional custom installation, and warranty protection of your high-end, Visual Performance Subwoofers.